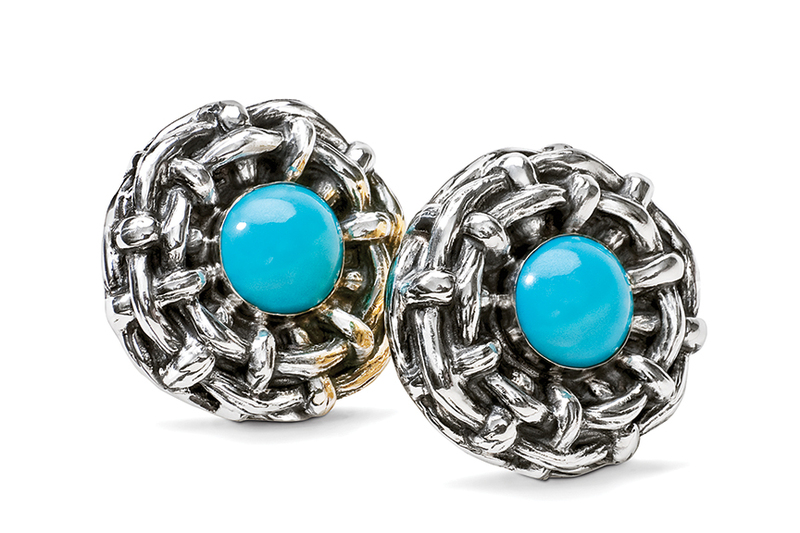 Arguably the most flattering piece in this collection, the Bamboo Earrings in turquoise are handcrafted of the finest sterling topped with natural sleeping beauty turquoise stones. Summertime, you'll wear them with white blouses and sheaths. Wintertime, freshen the style of your LBD or cashmere sweaters.